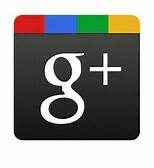 Google Plus is a new social media site that many people use to network and create friends or professional relationships. When you maintain a Google Plus profile, people can add you to their circle, which allows them to get updates from you as often as you post them. Interacting with people also creates a personal relationship with them, making them more likely to do business with you. Google Plus also puts you on the map- your location is available to everyone who searches for your business using Google Maps. Google Plus also offers tools like event creators and hangouts, which you can use to invite potential clients to your business. If you add comments to people’s posts, or even reply to comments on your own, you may seem more personal and customer-oriented to potential clients. Responding to all feedback- good and bad- in a professional manner is an excellent way to show future customers how you may interact with them. On Google Plus, you are allowed to post many different kinds of media- anything from a simple text post to ask everyone how they’re doing, or link them to helpful information on your site. Here you can also share events or photos of your business, hopefully getting new clients through the door. Networking is important- followers aren’t just going to come to you. Make sure to add people on your own to show that a business relationship isn’t one-sided. Google Plus is free, and a valuable business tool- use it to your advantage! In this day and age, with the amount of time people spend on their smartphones, it wouldn’t make sense to not establish a web presence.